Home News 5 TIPS FOR TAKING CARE OF YOUR HAIR DURING THE WINTER SEASON! Winter has finally arrived. The temperatures have dropped and the air has become extremely cold and dry. The cold, dry air is harsh and can leave hair very dry and brittle, and we all know that dry hair is very prone to breakage. So how do you keep your hair healthy during the winter season? The secret is keeping your hair moisturized and protected. Here are some tips on how to care for your hair this winter. The cold, dry winter air leaves hair very dry. Therefore you should deep condition your hair once a week for 20-30 minutes. Deep conditioning replenishes hair with protein and moisture, which helps to prevent damage. Our Restoring and Strengthening Deep Treatment is the perfect addition to your winter hair care regimen. It is formulated with a combination of protein and botanical extracts to nourish, repair, moisturise and restore dull, dry, damaged hair. 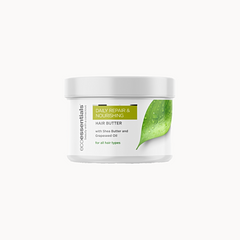 The Restoring and Strengthening Deep Treatment is infused with coconut oil and avocado oil to reduce frizz, strengthen hair and restore nutrients and moisture. It is important to seal ends in order to minimise split ends, which leads to breakage. Natural oils are very good sealants and locks in moisture. A great product for sealing your ends is our Hair Growth Oil. 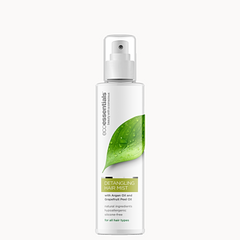 It is formulated with a special blend of over 10 natural oils. It nourishes the hair and scalp, promotes hair growth and acts as a good sealant. The best way to prevent breakage, is to cover your hair as much as possible during the cold winter months. Wearing protective styles will reduce breakage and dryness that is caused by the harsh, dry winter air. Great protective styles include weaves, wigs, bantu knots and braids. Just don’t forget to care for your natural hair beneath the protective style. Water is the key to keeping your hair moisturised. The harsh, cold, dry winter air tends to strip the hair of moisture. Steaming is an excellent way to replenish your hair with moisture. Steaming also opens up cuticles, this allows nutrients to penetrate the hair shaft easily.